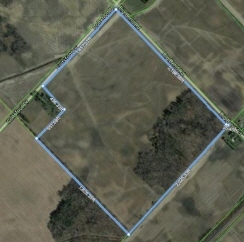 98 acres SW Middlesex with 74 acres workable bare land, random tiled. 19 acres bush recently appraised with harvestable trees valued at $25,700. Just north of Newbury.